Put above ingredients in mixing container and blend to incorporate. After about 1/2 cup, the stream will start to pool at the top as the mixture thickens. At that point, add about a third of the remainder at a time and blend in well. *Depending on what kind of mustard, it may get thick before all the oil is added: stop when it is the desired thickness. Basil mayo: replace avocado with a handful of chopped fresh basil, blend smooth before adding the main oil. 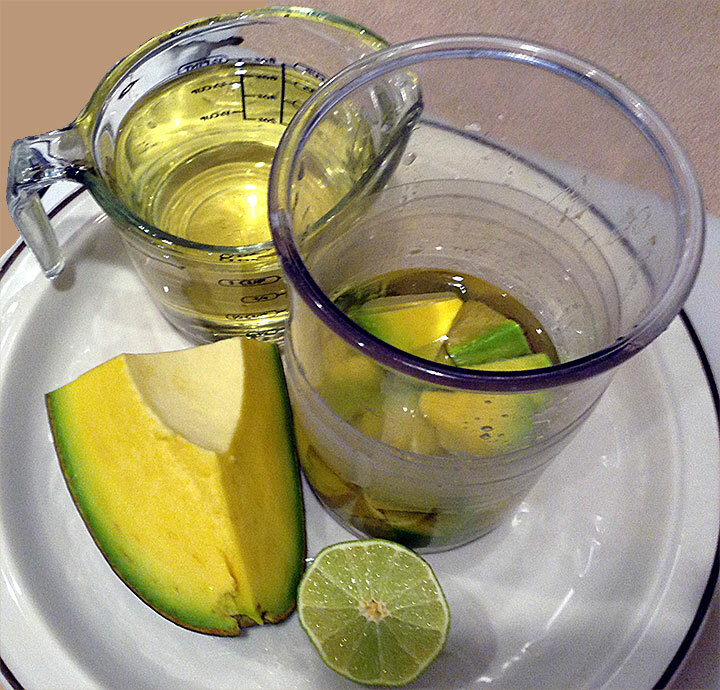 Put all but the avocado in the container and blend smooth. 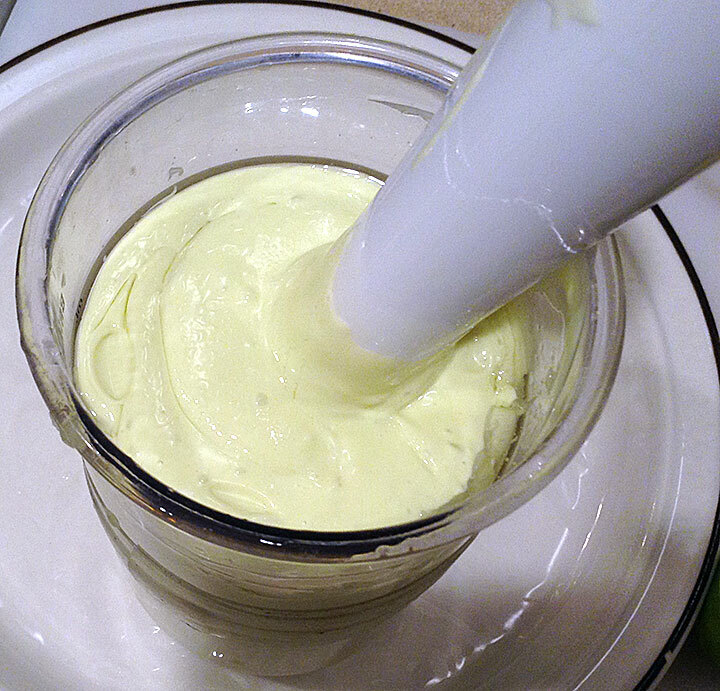 Add the avocado a slice at a time and blend until you have about 12-16oz of mayo. variation: blend in a small seeded pepper, hotness to taste.